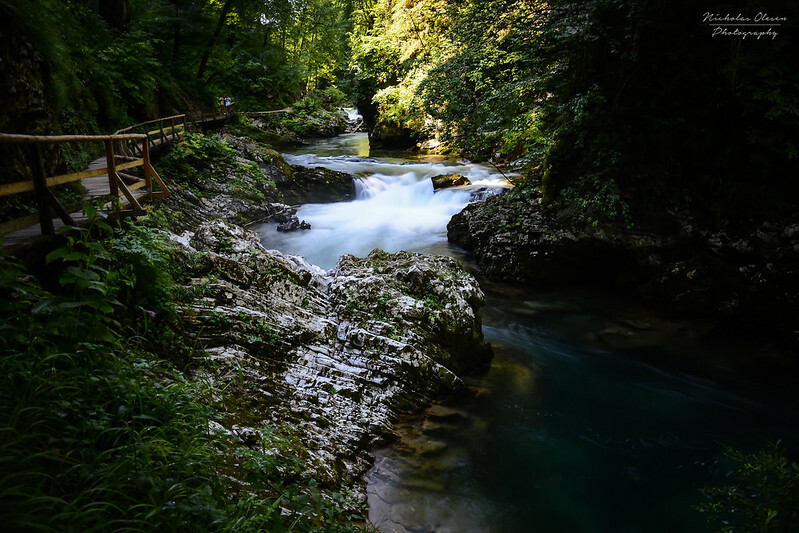 This is a view of the Vintgar Gorge in Slovenia, located near the beautiful Lake Bled. A wooden walkway follows the river path through the gorge, and it takes about 30-40 minutes to walk from one end to the other – unless, like me, you constantly stop to take pictures! 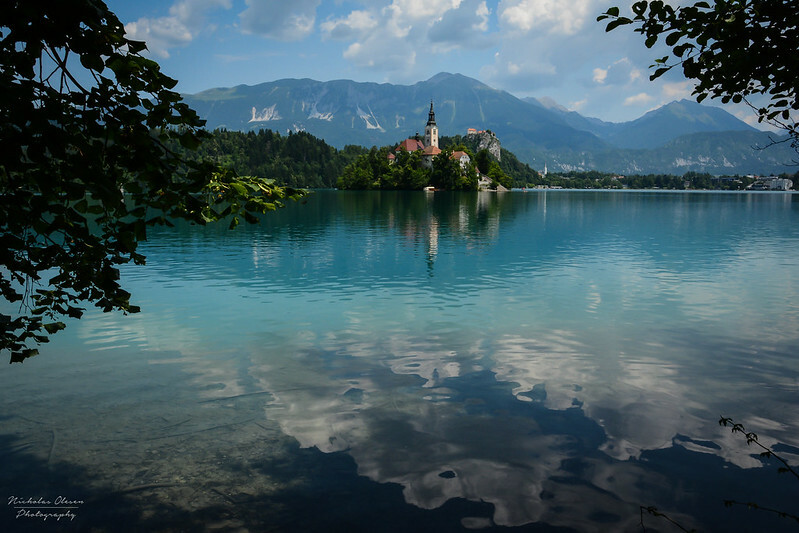 This is a view of the island in the middle of Lake Bled, shot from one of the row boats available for rent. It only takes about 10-15 minutes to row out to the island, which has a church and café on it. The lake water has a beautiful blue hue to it thanks to the minerals that have dissolved in it, and here the color of the sky is beautifully matched by the water. 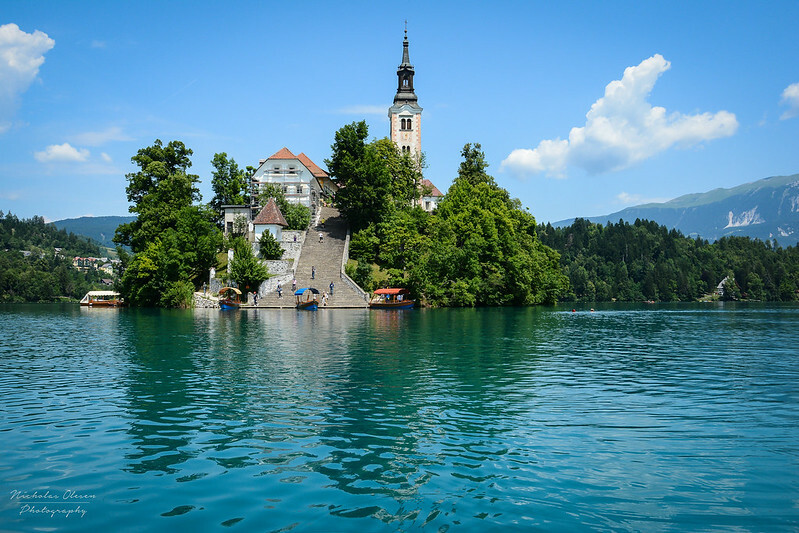 I just got back home from a week long trip to Austria and Slovenia – for a long time I’ve wanted to visit Bled, but inconvenient connections to Bled meant it was never feasible for a weekend for me before. 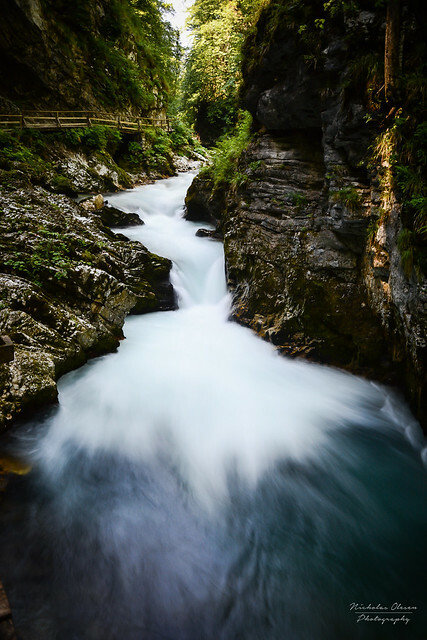 I was planning on being in Austria for the week, and so I finally decided to drive the couple of hours extra to get to Bled – and it was definitely worth it! I have plenty more pictures and information about my trip of course, but for now, I leave you with this beautiful view of the island on Bled Lake as seen from the southern shore of the lake.